Aqua Terra Jasper or Impression Jasper - pretty aqua blue 6mm rounds, approx 33 beads per 8 inch strand. 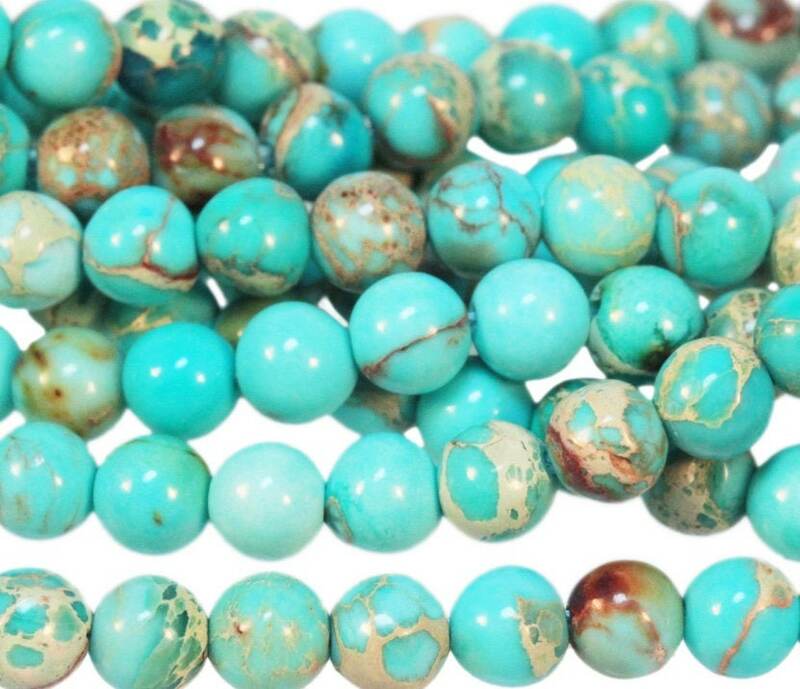 All of these aqua jasper beads are so pretty! I’m loving them! Thank you! Just perfect!